Left vs. Right: To Protest Or To Work. Reckless Left: You lot must not really believe in your own ideology! Responsible Right: Why do you say that? Reckless Left: You lot hardly protest. Apart from that extremely successful counter protest you lot did against the BDS drones in Brisbane you’re not really out there anywhere near as much as we are. Responsible Right: Well most of us don’t have time. We have jobs which just happen to pay the taxes that fund your welfare and we have families and we have them because we want them, we take responsibility for our actions and we don’t just abort our children for the sake of a few more extra years of night clubbing and promiscuous living. Being responsible means you can’t always get out there and chant but it does ensure we think very carefully at the ballot box. Responsible Right: Yeah yeah whatever, how about you get a job and stop killing your unborn children you selfish drone. Reckless Left: I’m not selfish, it’s called ‘choice’. Responsible Right: Since when is killing your own children a choice you can take? Is the pregnancy a genuine threat to the mother’s life? Reckless Left: They weren't killed, they aren't alive and they aren't human. Responsible Right: So you’re pregnant with a dead alien? Reckless Left: No, it’s not conscious so it’s OK to abort. Responsible Right: Not conscious? That then means the child is asleep. You kill your own sleeping children while they are in the womb. Reckless Left: Look, we don’t really know when an unborn child is truly alive so we can’t say it’s murder now. Responsible Right: Well if we don’t really know when an unborn child is alive we should not be messing around with the process now should we. If we don’t know when then we don’t know when it’s murder or just a clump of cells that doesn't matter do we. Responsible Right: You child killer. Reckless Left: Hey! You can’t say that!! Responsible Right: Truth hurts doesn't it? Left vs. Right: No Reversing Zone. Race Baiting Left: You wouldn’t have the slightest idea on how it feels to be a victim of racism. Always Right: You just saw that person sling a few ethnic slurs at me. Race Baiting Left: Yes that person had a go at you because of your race but it doesn’t matter because you’re white and it’s reverse racism and that’s acceptable. Racism doesn’t affect white people, you’re not all bent out of shape about it. Always Right: That’s because I’m not going to let someone else bring me down with stupid name calling but I do find racism abhorrent and I certainly don’t encourage it unlike you. Race Baiting Left: I don’t encourage it! Always Right: You do, you just said racism towards white people is OK.
Race Baiting Left: I said it’s reverse racism. Always Right: It’s not reverse racism, there’s no such thing. It’s racism and why is it somehow OK to be racist towards whites? Race Baiting Left: Because white people must pay for their racism so we can have a racism free society. Always Right: Allow racism to stop racism? There’s the same reasoning that says global warming causes ice and disarming people will protect them from armed criminals. Race Baiting Left: White people are always racist and need to suffer racism to understand what they have done. Always Right: It’s not just white people who can be racist, members of other races have been racist towards others as well and not all white people are racist. I’ve never been racist and what about all the white people who have always fought against racism? Race Baiting Left: They’d be Democrats and in the name of helping the world we Democrats often suffer. Always Right: There are many conservatives fighting racism and there are many conservative figures who are not white and more importantly we accept them for who they are and what they believe in, we don’t have any of your leftist patronising tokenism where you insinuate people who aren’t white can’t get ahead without your help and they have to be grateful and stay Democrat otherwise you’ll vilify them. Race Baiting Left: Well that makes them sell outs and race traitors. How dare they abandon their people like that and do well for themselves. Always Right: Yeah, how dare they set an example and show people they can get ahead on their own merits and don’t need your help which actually is designed to keep people impoverished and dependent. And this nonsense of you suffering, how on Earth are you suffering? Race Baiting Left: Do you know what it’s like to live on benefits? Always Right: Well get a job then. Race Baiting Left: You racist! Always Right: You race baiting traitor. Left vs. Right: Culture, The Lack Of And Who’s Paying. Uncultured Left: Because it misrepresents our culture. You’re featuring some adult themes and stereotypes about us and our way of life. Cultured Right: Some stereotypes are based in reality and many are totally harmless, if anything I’m genuinely representing our culture and rest assured I am avoiding the stereotypes that are offensive and out to belittle certain groups. Uncultured Left: People will think this is how we really are! Cultured Right: I think you’ll find people are smart enough to know what’s real and what’s just humour. Uncultured Left: Well I don’t think it’s funny! Cultured Right: So don’t watch it! After all, it’s not like Obamacare, no one is threatening to fine you or force you to participate. Uncultured Left: Your show misrepresents us, we need something that portrays us in a positive light. Cultured Right: So you make it. You make the effort and you put forward the money instead of expecting others to do it for you and pay for you. Uncultured Left: No! You should do it!! If you’re making money off the backs of everyone you should give something back! We need to show how we care for people by keeping them on welfare and how we tax hard working people to pay for benefits for illegal immigrants and we’ll also cut pensions to pay for it all. Cultured Right: My giving back to the country involves paying taxes, the very taxes that finance your welfare and I sometimes donations to several reputable charities. And I don’t make money off the backs of the people in this country, I come up with entertainment which in turn makes money and allows me to employ some people in the process. Uncultured Left: So employ them to make something that shows us the way I want you to! Cultured Right: How did your vision of culture somehow become my responsibility to create? Your little scenario certainly won’t make money and in any case it’s not our country’s culture, it’s your preferred party’s political ideology which is being rejected by more and more people. If you want something like you've described you do it and pay for it. I would say do some fund raising but that would be pointless since most of your party’s supporters are on welfare. Cultured Right: You traitor. I’m sick and tired of how you expect us to do everything for you and pay your welfare when you’re perfectly capable of working. On top of that I’m sick of how you always stab our country in the back. Left vs. Right: How The Country’s Best Interests Are Left Behind. Left Out: We will protest against the racist Abbott government! We must drop our borders and let everyone in!! We know the Australian people support this view! In Right: That’s why people voted in the Abbott government then is it? Left Out: Don’t you try and stifle our voice! You racist!! We represent Australia! In Right: No, the Abbott government represents Australia. And I’m certainly not stifling your voice, just pointing out the facts. Left Out: Fact is, you’re racist! Left Out: By not wanting to let just anyone in! I believe we should let everyone in, house them and provide lots of services for them no matter what the cost!! In Right: Such generosity with other people’s money! So you’d be happy with pensions being cut to help pay for all the excesses of the ALP? Left Out: The money would be better spent on the refugees, they deserve it and you know it! You racist!! In Right: So the people who have actually contributed to this country should go without for the benefit of those from outside the country and who are always unlikely to ever contribute. Left Out: You racist! Our voice will be heard!! When we marched there were tens of thousands of people! In Right: As reported by the left leaning media! Your lot also displayed behaviour towards the prime minister well in excess of anything Gillard suffered. And with unemployment going down you’ll find less people so keen to march pointlessly. And while you supposedly number in the thousands the entire electorate numbers in the millions and they have voted to stop the boats and illegal immigrants. To Be Left Without Honour. Tony Abbott reinstated the imperial honours system and the left went crazy. They objected vigorously and as usual there was not very much content in their comments. First up they said it’s old fashioned. Some bleated our Asian neighbours won’t understand. So? It’s never been a problem before and I’m sure we could easily explain it all to them if there really was a need. A claim went out there that it doesn’t gel well with our current American alliance. I don’t think our American allies care either way. They’ve never had a problem with it in the past and they certainly have no problem with the Queen. Then there’s the cry that it’s a step backwards. How? That of course they don’t explain. If it’s a step backwards in the opinion of the left then it’s more likely a step away from the lefts nonsensical approach to things and in reality a good thing. It’s from colonial times they say. It’s from well before colonial times, it’s a very old tradition steeped in history. And as far as the idea of honouring worthy people goes, that is a very ancient idea. It’s British cry the left in sheer horror. This current setup is British in its origins but so is this country, the imperial system has evolved into a Commonwealth of Nations affair. And with more horror the left tell us the honours are from the Queen and she’s foreign. No she’s not, she’s our queen as much as she is the Queen of the United Kingdom, the Queen of New Zealand and the Queen of Canada amongst other realms. She’s not foreign, she’s family. Long may she reign. Mind you, for all their claims of tolerance their branding Her Majesty the Queen as foreign could show us the left aren’t too keen on foreigners. A foreign queen should be right up their alley, not only foreign but female. Rather racist and sexist of them isn’t it to reject her isn’t it?! There may indeed be real arguments that can be presented against reinstating the honours system but if there are I am yet to hear any. Saying things are old fashioned or will somehow cause angst amongst our trading partners and allies isn’t really presenting an argument against it, it’s just a load of empty words but that’s par the course for the left. I think one of the things they may not like about the honours system is that the intent of it is to recognise people who have achievements that are worth honouring and those are few and far between with the left. Running up massive debt in six years does not get counted as an achievement and neither does running an environmental scam or encouraging the boats to start again and in the process costing over a thousand lives. Then there’s the idea of honour. Given the stunts and the scams the left have been pulling they know full well there’s no honour in what they’ve been up to. It’s likely they don’t care but it’s doubtful they want to be reminded of it either. Left vs. Right: Paging Reality. Left Behind: I don’t understand how your page is doing so well and ours is doing so miserably. You’re leaps and bound beyond ours yet you lot are racist, xenophobic, misogynist, bigots so why would people go to your page? Australian Tea Party (ATP): All you do is throw names at people who disagree with you like when you call us racist etc. and your attempts to counter argue are devoid of any real content or facts. You’ll say someone is wrong but won’t offer an explanation as to why. Left Behind: You’re wrong! You’re just so wrong. You are really really wrong!! ATP: How am I wrong? Left Behind: You just are! You racist!! ATP: Like I said, you just say someone is wrong or you call them names and on top of that you make excuses for the rotten things your preferred politicians do as opposed to putting forward reasons why it is apparently good. Left Behind: Ha! Got you there!! You did the same thing you accused me of doing, you said I was wrong but didn’t say why! ATP: Actually I did say why but here’s another difference, I will clarify what I have said if asked. An example of your making excuses for the ALP is when it comes to the debt the ALP lumbered us with. All you say is ‘it’s not as high as the debt other countries have’ and when pressed to clarify how other countries having debt is OK you can’t say how that makes it OK and when it’s pointed out that the debt is costing billions per year in interest and how just over six years earlier there was $20 billion in the bank you just go back to the ‘it’s not so high’ statement. You won’t tell us why this current state of affairs is somehow OK.
Left Behind: You racist, you misogynist! ATP: Yeah, you’ll say anything you can, anything except a properly thought out counter that uses facts. The reality is there was $20 billion in the bank and a stable economy for the ALP to run and they chose to run it into the ground for their own benefit and leave a debt of over $350 billion with very little to show for it. How does other countries’ having debts make that OK? Left vs. Right: Giving The Left Credit For The Debt. Fact Free Left: It was the ALP who got our economy going again, it’s all thanks to the great Rudd and Gillard and the genius of Wayne Swan. Always Right: Great and genius to describe people who borrowed and squandered billions? So the low unemployment, the stable budgets , the AAA rating, the Future Fund and the $20 billion spare cash in the bank left by the Howard government had nothing to do with our economy being strong? Fact Free Left: All they did was sell assets, anyone can do that! Always Right: The ALP were the ones who started the asset sale ball rolling and they couldn’t do it. Meanwhile the Liberals used the money raised to clear the debt and set up the Future Fund to cover unfunded future liabilities. Fact Free Left: All they did was sit on the money, the Australian people didn’t benefit. Always Right: No they didn’t and that’s because the ALP turned that $20 billion spare cash into over $350 billion in debt in just six years. It helped feather their nests but didn’t do the rest of us any good! They cut services people rely on and were eyeing off the Future Fund to finance another self-serving spending spree. Unemployment rose under the ALP, small businesses were closing in record numbers, utilities were being disconnected in record numbers and there were record numbers of bankruptcies, all courtesy of the ALP. Where there was a budget in the black there is now a budget black hole full of red ink to the tune of billions of dollars. Always Right: That doesn’t excuse the ALP from borrowing to excess. This current debt will take far too many years to pay off and cost billions in interest that could better serve the country. Having no debt is better than our supposedly low debt and that’s how it was before the ALP came along. If the ALP had of stayed in any longer the debt would be as high, if not higher than other countries. Fact Free Left: The Liberals only did it through asset sales. Always Right: They used asset sales to clear the debt of the previous ALP government and then kept a strong economy after the assets were sold and that’s better than the ALP’s selling assets while borrowing way too much, giving you the bill and leaving you nothing to show for it. Fact Free Left: You racist! Always Right: And what race is not wanting pointless debt? Left vs. Right: Out for the Night. Out And About Left: I think we should go to that pizza place. Alright Tonight Right: I think we should have steak. Out And About Left: You racist! Alright Tonight Right: We’re discussing dinner here, not politics. You don’t need to get your back up if we disagree. Out And About Left: Yeah yeah, I know! Alright Tonight Right: What about spaghetti? Alright Tonight Right: What race is spaghetti? Italian?? Chinese? What race could it possibly be?? Is global warming affecting the spaghetti trees? Out And About Left: Sorry, force of habit! It’s been a long day debating with you conservatives. Alright Tonight Right: I always say, facts will make your job easier. Out And About Left: Facts aren’t on our agenda and you know it. They’d get in the way of things like our climate scam. Now, did you say spaghetti? Alright Tonight Right: How about chicken? Out And About Left: Oh shut up! Fact Free Left: You don’t like illegal immigrants, when are you leaving? Always Right: I’m not, why should I? Fact Free Left: Well if they’re illegal so are you so why don’t you go back to where you came from? Fact Free Left: No! To England!! Always Right: I can’t go back there for the simple reason I’ve never been there to begin with. I can go back to Sydney though if I want to go back somewhere. Fact Free Left: You racist! You stole this land from the Aboriginals!! You should go back to where you came from. 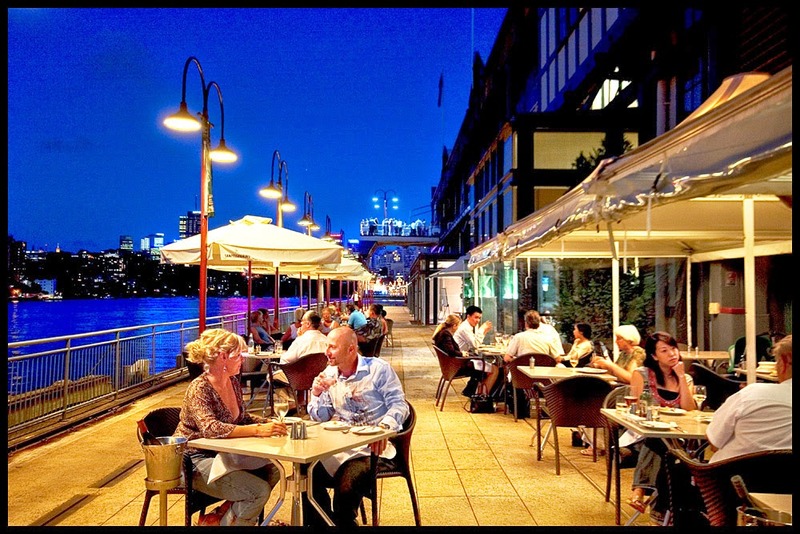 Always Right: So you think I should go back to Sydney then? Fact Free Left: No! Too England!! I already told you! Always Right: And I already told you that I’ve never been there so I can hardly go back there. Fact Free Left: This country was stolen from the Aboriginals, it should be returned to them! Always Right: So how does allowing in illegal immigrants return the land to the Aborigines? Fact Free Left: You racist! You have no right to stop them!! You have no right to be here and should leave! Always Right: Please lead by example and go back to England. Fact Free Left: I can’t, I’m of Irish descent and as you know we were oppressed by the English. So go back to Ireland. It hasn’t been run by the English since well before you were even born. Fact Free Left: Well no, my people left to escape from oppression. That’s why I feel a bond with the asylum seekers, we are one. I know their hardships and I feel what they feel. Fact Free Left: You racist! This land belongs to the Aborigines so we have no right to stop the asylum seekers coming here!! You’re oppressing the Aborigines and always have been! Always Right: We are here, we are running the country and we have a right to say who comes in. And while we can’t undo any injustices of the past we can make sure Aboriginal culture is preserved and celebrated. That won’t happen though if we drop our borders and let just anyone in, we run the real risk of importing the problems of other countries here and we have enough of our own. Illegal immigration needs to be stopped while we can still stop it. Always Right: What race is illegal immigrant?